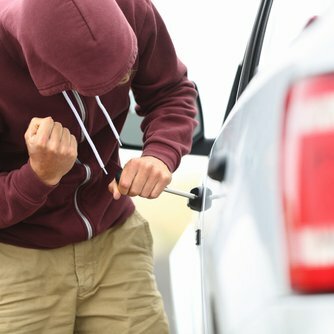 There are many reasons people target vehicles for theft; some have financial motivation, whilst others are addicted to the thrill of getting away with it. Either way, the result is the same for the businesses victimised by these individuals: devastating. A loss of income, shaken confidence, and detrimental effects on your business overall mean vehicle security and protection needs to be a priority. Of course, there are many ways you can go about preventing unauthorised access to your vehicle, or at least making it more difficult for intruders to get in. However, to be sure the perpetrator doesn't get away with your vehicle or their crime, you need remote vehicle immobilisation. This system is easy to install and highly effective should the worst happen. Once Phantom fit your car, truck or plant vehicle with their remote immobilisation technology, it will be safe from vehicle theft. If your vehicles locks, alarm or ignition system is tampered with, an alert will be sent to our control centre. There, our 24-hour team will use the on board GPS technology to track the vehicle and any unusual movements. They will also send a remote signal to the vehicles engine management system, which prevents the engine from restarting once the thief turns it off. So they might get away with the initial break in and get-away, but they wont actually get away with it. And, because our system uses GPS tracking, the authorities will know exactly where to go, and your vehicle can be recovered, helping to reduce inconvenience and loss. Should you wish, we can even fit your vehicle with warning beepers, to alert your employees and those using your vehicle that the engine will be immobilised if certain behaviours continue. This is particularly useful if you are hiring out the vehicle and payment has not been received, or if it has been stolen rather than returned. With Phantom, technology is on your side against vehicle theft. So get in touch today and learn more about remote vehicle immobilisation and the other solutions we provide.